So in our previous posts in this beginners series we have covered why you need to build links and the type of links you might consider building. In this part we will start to look at building a link building campaign. Now let us move on to creating our first link building campaign. Firstly, let’s ask ourselves why do we need to create a formal campaign, can’t we just do it when we can or feel like it? Creating a campaign actually creates intent. Having a formal campaign to work to will give us a structure to actually trying to get new links for our website and will give us some kind of objective to aim at. Our campaign will use the assets of our website, i.e. its content, product or services. Let’start by looking at the structure of a good link building campaign, some parts of the structure will depend on your available assets and resources. I could write a whole post on goal setting and don’t intend to go into the mechanics of goal setting here. However, as link building is a form of online marketing it is a good idea to set some goals with which to measure your campaign. If you can create your goals right at the start of your campaign it can give it direction and improves your chances of success. You also need to ensure that your goals tally with the goals of your business and what you are trying to achieve overall. One of the big problems with link building and implementing link building strategies is that it is the snail in the race. Link building takes time to make any impact on your website rankings. It is not as simple as building links today and seeing the result tomorrow. It is even more so if you are in a competitive niche. That makes it difficult to not get impatient as results won’t be forthcoming quickly. You need to take this into account when developing your strategy. You need to set realistic goals that are timed phased correctly so you don’t get disheartened or give up because things are not happening fast enough. In my case, my goal for the next 12 months will be to drive and grow organic traffic to my site to 1000 visitors a month. So I will be looking for a gradual increase in organic traffic over the coming months. I have been specific on the amount of traffic I am looking for but believe it should be realistic. When making your goals make it pertinent to the goals of your business. For example, if you are looking to increase sales by driving more organic traffic you need to have a realistic increase in mind. 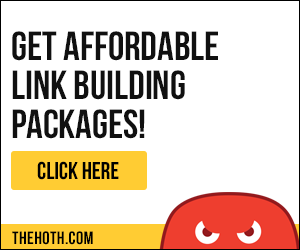 The core of any link building campaign should be built around the assets you are going to use to attract more links. So what do you have that is going to make people care about what you have to offer and ultimately link to you? In this case, I have set out to build an authority site where the content is informative, well written and can be applied. I am hoping in time that people will also consider me an authority and want to link to me because of that. So my asset will be the content that I produce, its overall quality and how useful it is. What I do know though is that it is going to be a long road to get there. 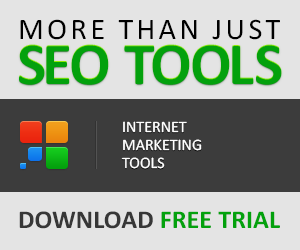 Another asset that some SEO consultants may use is money. For example throw money at the problem and buy links. As stated in previous posts buying links is strictly against Google’s guidelines and will mean strict penalties and heavy loss of traffic – so no matter how hard it gets do not buy links for your business. The next part of the strategy is to decide what type of links you might need. 4. Links that may contain your targeted keywords. You can also have combinations of these. To begin though you need to have a look at your current link profile for your website. When I investigate the links I see that many of them are ‘no follow’ and also they relate to when the site was last active. I have no links to any of my pages or keywords, so I have quite a bit to go at. One of the first things to consider is who and what type of people should I consider contacting. The common sense approach is that you should be contacting people who will be interested in your content, that it has some relevance and would be useful to them. The question is ‘who really cares about my piece of content and is it good enough for people to want to link to it”? You might get eyeballs on your content but to get them to link to it is a completely different ball game. Linking to something requires time and effort, so that person has to care enough about your content to put the effort in to bother to link to it. So in order to get someone to care enough to link to your content you have to have something that creates a reaction – a secret sauce. Long form, quality, detailed content. So in my link building campaign, I will be using the fact that I intend to only publish quality content that will be useful for businesses, individuals and those interested in SEO. My secret sauce will be the information I am passing on to others to implement on their own websites and businesses to enable them to improve their own Google rankings. In the next part of this beginners series, we will examine how and where to find your target audiences and how to approach them to illicit links.